The saying goes ‘the simple things in life are often the best’ and it’s hard to disagree when you see the clean, modern lines of Actus furniture for children. 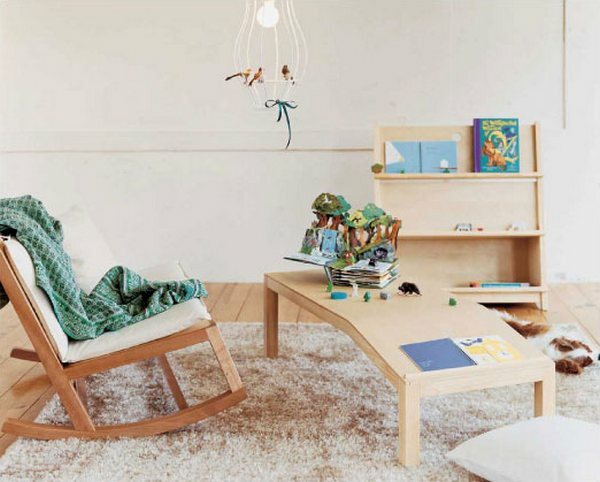 The Actus collection includes beds, tables, chairs, bookshelves and some unique storage pieces such as wooden ‘baskets’, neat wall hooks and beautiful toy boxes that you will want to use long after the kids are done with them. Designed in Japan, the range has hints of Scandinavian sleekness with the use of pale maple and birch wood and white accents. There are many practical and lovely pieces such the Sauto children’s table and chairs, the sublime Ehon rocking chair and the stylish Shoemaker stools. There are also some more unusual pieces that stand out. The Kids-Museum Raundosherufu is a bookshelf, seat and storage container in one and would be a great addition to a bedroom or playroom where it could be placed centre stage. The Naname table is also interesting (shown at top). 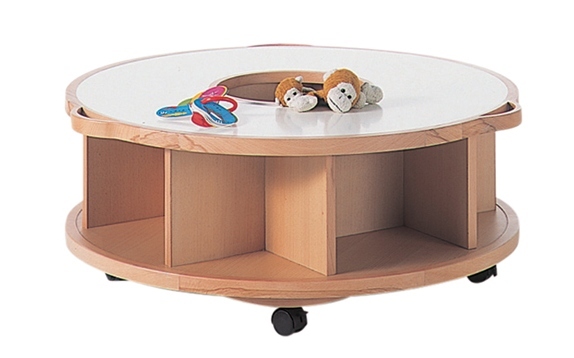 Designed as a standard table at one end, the other end features a slope and a narrow ledge to comfortably hold books for reading time. A neat idea that I haven’t seen scaled for children anywhere else. The range includes a number of beds but I like the clever Kids-Museum ‘bunk’ that allows one bed to be rolled away without having the usual bunk arrangement. 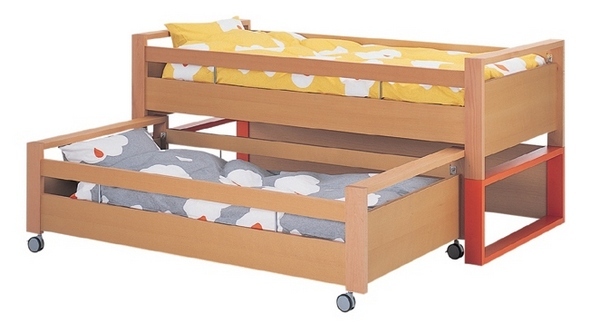 If you’re strapped for space and have very little children that aren’t ready for bunks, this toddler friendly design is ingenious. Brush up on your Japanese if you want to buy – the shipping policies couldn’t be managed by my old friend ‘Google Translate’ so you will need to contact Actus directly.